Alcohol is a very destructive but socially acceptable drug that is in every home and Gibraltar is not a good place for those at risk of alcohol addiction due to the low prices and the very generous tax breaks. The local Gibraltar economy relies so much on alcohol that it can be very surprising to many that there is not so much support for alcohol treatment in the area which does lead to many people seeking private treatment. Alcohol addiction can strike people at any time and especially under times of stress because people use it as a way of coping. There are different places to get alcohol addiction treatment in Gibraltar but all use different techniques such as the 12 step program and others use holistic methods. We are experienced at the initial detox and the follow up because over the last decade we have successfully treated many people from all walks of lives. One of the problems with Gibraltar can be that everyone knows your business and if you are seen to be going into a clinic, before you know it people are asking what's wrong with you. The beauty of a small community can sometimes be a curse and thankfully because of the size of the practice we work with there are other options if you are not comfortable seeing someone in Gibraltar. I thought i needed to be in a secure treatment center but after just a few sessions learning to cope with the psychiatrist in Gibraltar i was well on the way to recovery. You can always take a quick trip across the border if that's possible these days and come and see us in the Sotogrande office in Spain. 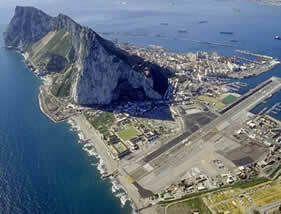 We can pick you up from Gibraltar Airport and we can arrange Visa`s if you need one to enter the country. 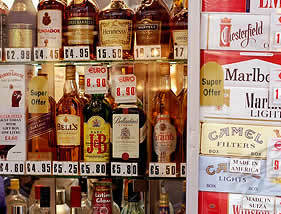 Gibraltar does suffer from quite a large problem with alcohol and there are a few different ways of getting treatment. 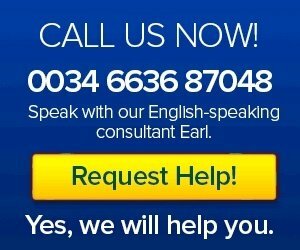 The first thing we need to do when we see you is to give you a full consultation to find out your issues. If you have been through a consultation before and have been `diagnosed` as having an alcohol problem we still need to go through another consultation with you. In some country's there is up to a 45% mis-diagnosis of illnesses, so we need to just double check. We need to work out a treatment plan and follow it through.